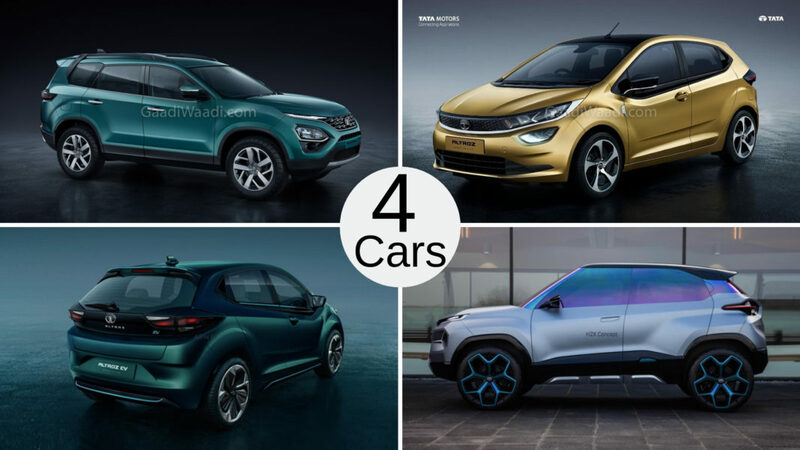 Tata Motors showcased 5 new concept models at the 89th Geneva Motor Show and they are Altroz, Altroz EV, H2X, Buzzard and Buzzard Sport. Among them, Buzzard Sport which is Harrier in our market has already reached the production line while other models are expected to be introduced in the coming months. In this article, we take a close look at each concept models. The Altroz was one of the most awaited models from Tata Motors and it is going to compete in the premium hatchback segment against the likes of Maruti Suzuki Baleno and Hyundai Elite i20. The Altroz is based on the new Alfa model platform and the design theme is based on the Impact 2.0 theme, which debuts with Harrier. The design theme will certainly make it stand out from competitors and the interior took inspirations from Nexon and Harrier. The hatchback is loaded with lots of features like 7-inch touch screen, climate control, LED tail lamps, projector headlamps and more. The Altroz will be powered by 1.2 L petrol engine from Nexon with 6-speed manual and production will be launched by the middle of this year. The Altroz EV model continues the same design theme as its IC powered sibling. The company has made minor changes like slightly wider grille along with new projector headlamps and large fog lamps. 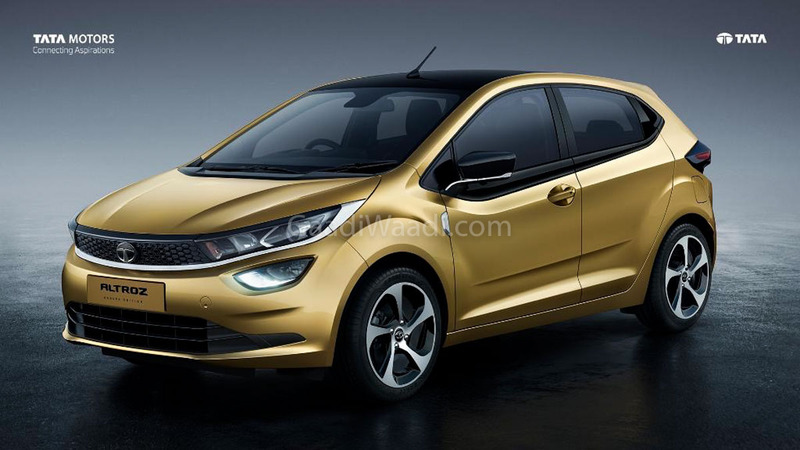 The company has given a chrome trim on the window line and the rear gets LED tail lamps along with a new bumper. The grille on the EV model will be closed type as it doesn’t need cooling and the drag will be reduced. 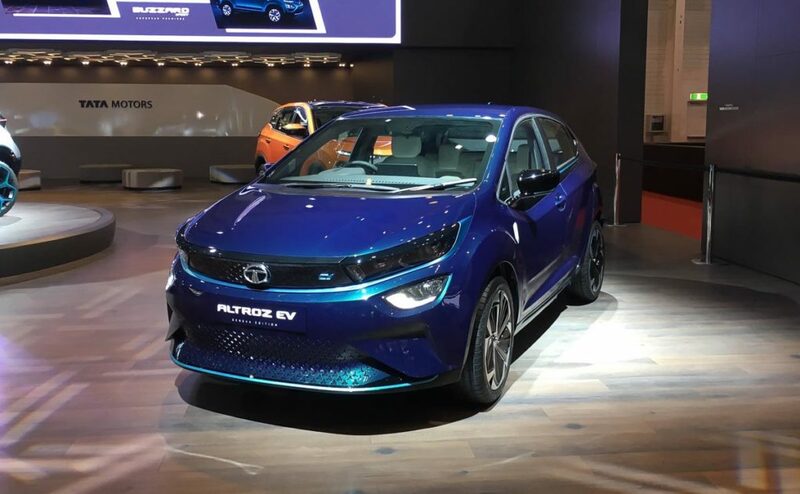 The company hasn’t given more details about the EV powertrain but we can expect the range to be around 300 km and it is likely to come with fast charging. The production version is expected to be revealed at 2020 Auto Expo. 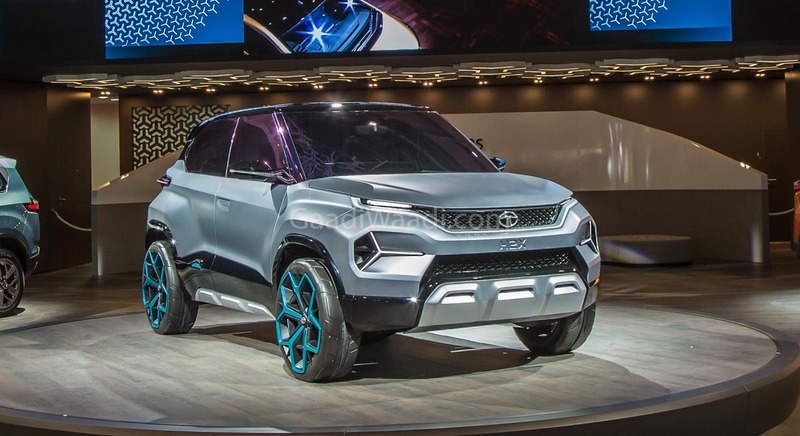 Tata Motors officially revealed the H2X at the Geneva Motor Show and the micro-SUV will be based on the same Alfa platform as Altroz. The design theme is based on Impact 2.0 as the front get small black-finished grille with split headlamps design, which is similar to the Harrier. The high ground clearance and muscular bumpers give an SUV look from the front. The H2X concept model has flared wheel arches to continue the muscular theme and the rear also get new LED tail lamps. The overall design theme is expected to be carried over to the production version. The interior might take inspirations from Altroz premium hatchback and it is likely to be powered by the same engines from Tiago. 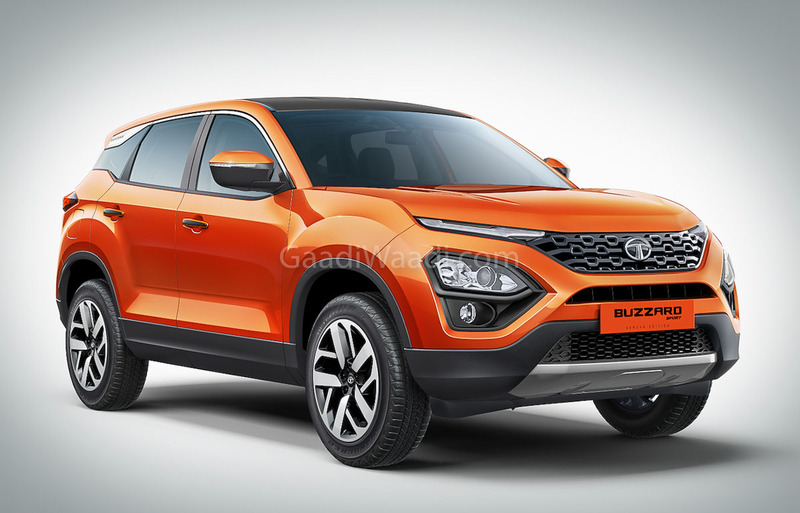 Tata Motors finally took wraps off the Buzzard, which is basically the 7-seater version of Harrier and it is codenamed as H7X. 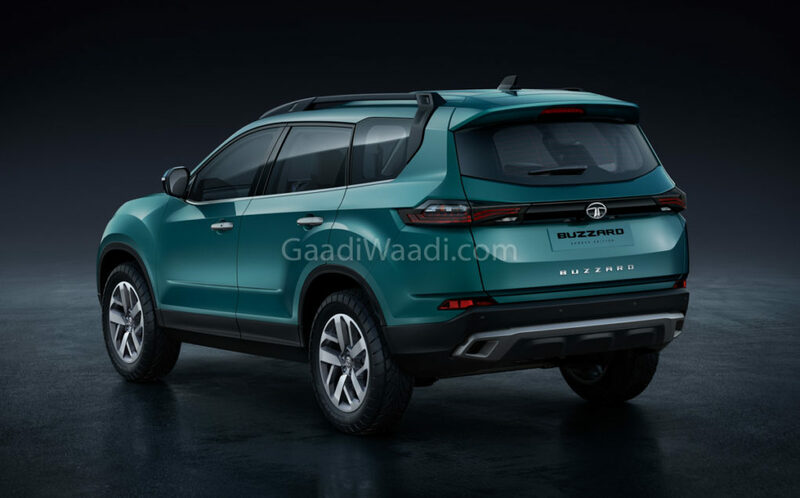 The concept model looks similar to the Harrier but the side angle reveals the changes as the length have been increased and the roof has been redesigned to give a new look for the full-size SUV. The rear gets new bumper along with tweaked LED tail lamps. The interior is expected to be premium with lots more features compared to the Harrier. The Buzzard will be powered by 2.0 L diesel engine sourced from FCA and it produces 170 hp of power, this engine is mated to manual and auto gearbox sourced from Hyundai. The India launch is expected to take place later this year. Tata Buzzard Sport made its European debut at the Geneva Motor Show. The company renamed Harrier as Buzzard Sport for the global market and we can expect the market launch to take place later this year. The Harrier has lots of potentials as the company developed the SUV with a global market in mind and it is based on the Land Rover Discovery Sport D8 platform. The interior gets an all-new premium design theme with high-quality materials and the SUV is loaded with lots of features to lure buyers from its competitors. The Harrier is powered by 2.0 L diesel engine producing 140 PS and 350 Nm of torque. This engine is mated to a 6-speed manual and an automatic variant is in pipeline.